If you want to make a web designer roll their eyes - then complain to them why no one is going to your new website. “I thought once I got a website people would just visit my site and buy my product!” they say. But the reality is – is that whilst your website is a valuable tool and can be an asset to your business, without investing in SEO, your webpage on the internet can be like finding a needle in a haystack! There are times when we mention the letters SEO to people and you can see it; their eyes start to glass over, they start to worry about more and more ongoing costs and unfortunately it is one of the most misunderstood and misinterpreted terms in the world of internet and marketing. It is not enough to simply have a website – you need to ensure you are marketing that website to gain the most from it. 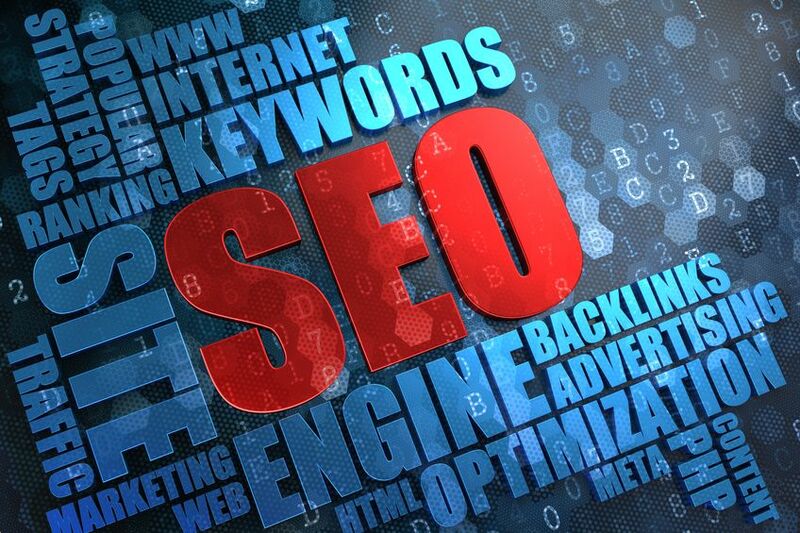 Small businesses have a great deal to benefit from SEO and search engine marketing. SEO will help you gain better rankings in search engine result pages which equals more visits to your website and a better chance at more customers. SEO stands for Search Engine Optimization. SEO helps search engines figure out what your website is about and how it may be useful for others. This is done through structuring a web page so that it is found, read and indexed by search engines in the most efficient manner. This will make your web site and its content appealing, applicable and detectible to search engines and to web searchers. Google rankings – There is a reason why we all want to be #1! Google rankings is the order in which your website appears after keywords have been inserted into the search engine. For some reason people unconsciously trust search engine results and believe that if a particular business is in the top spot of the search then it must be the best!?!. People don’t realise that they are categorising businesses that come up in the order of google rankings – when this should most definitely not be the case! It is simply how our mind is wired. By spending some time optimizing your SEO you can work towards bypassing your competition. Given the way we unconsciously look are google rankings – this is something to think about. SEO is good for social media and vice versa. Social media promotion of your site can help lift your rankings and promote your business. A webpage with higher ranking will gain more social media exposure. Social media can help you get your name out to a wider audience. When that happens, you increase the overall awareness of your brand, which can lead to more people searching for your brand as a result. Social media can increase the volume of traffic visiting your website, which is a key factor in search engine ranking. It is a key factor to consider when marketing your business. Inbound links from credible websites is like a referral program for your website as far as search engines are concerned. Links from other sites are a vital element in determining the “rank” of your website in relation to other websites. Search engines, like Google, will boost your search rankings if you have quality links into your site from other relevant websites. It is important to note the words “relevant websites”. There are many companies out there who will promise you link building strategies with x number of links into your site from other sites. The problem is the sites being linked into are often blacklisted by search engines, so the links count for nothing! The best advice we can offer here is to establish links with other sites that are relevant and of course are indexed by search engines! Put it this way, the higher the website linking to your site is in search rankings the better for your website rankings! Whilst all of the above information is crucial – there is one basic component that is key in ensuring the most from your website – and that is content. Without viable content on your website you are a sinking ship in a vast ocean. Content will always be leading the charge in a successful website with regards to SEO. When you use good, informative content with several carefully picked keywords threaded throughout -your website’s SEO has significantly more potential. If your website is properly optimized it will increase your search engine visibility, usability and credibility – all integral components increasing traffic to your website. Once it is properly optimized you can track valuable information about your visitors. Find out what key words they use, the technology they are using, their geographical location, how much time they spent on your website and so on. This is valuable information that will help target your market, hone your advertising and work on fact based strategies as opposed to guesses on how to proceed with marketing your business – so you are getting the most from your website. Your website is your most important and valuable asset online – so why not take the time to ensure that it is properly optimized to ensure the success of your business online. By spending some time optimizing your SEO you can work towards bypassing your competition. Given the way we unconsciously look are Google rankings – this is something to think about. You need to look at SEO as an investment and not a cost for your business. It’s important to make sure you are getting this marketing right as it can be of significant benefit to your business. If you need someone to help design your digital marketing campaign give Central Coast Web Design a call or email today.